It was a very special day today. 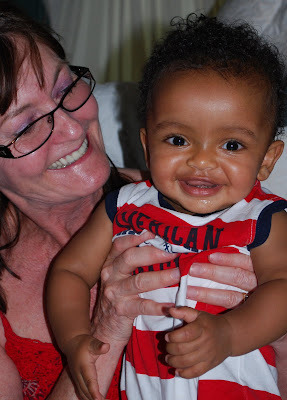 Today was our final U.S. court date for Liam's adoption. Here he is waiting for his case. 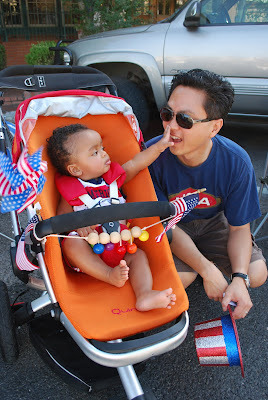 The court finds that this child is a citizen of the United States by virtue of this adoption"
Hallelujah. We are speechless. And grateful. Victor Negron is our attorney and we highly recommend him. Our court appointment was in San Antonio and everything went smoothly. Our judge was wonderful and she even let us take photos. We still have homestudies and paperwork (until he's 18) but that's not a big deal - the important items are complete - and we are finally an official and certified family. Please...get up and join him! 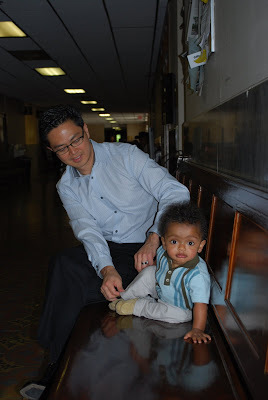 And a few shots of little Liam with Amaye and Papa back at the homestead.